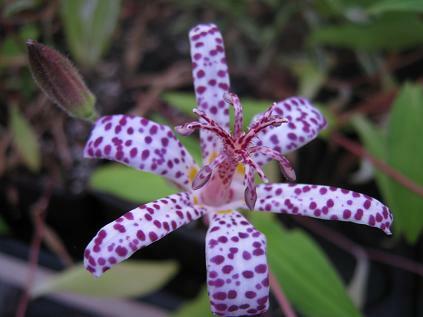 A very striking new variety from the USA. 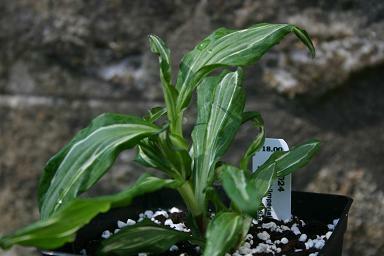 Bright variegated leaves make a good show through the growing season. 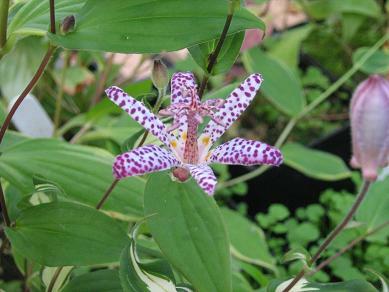 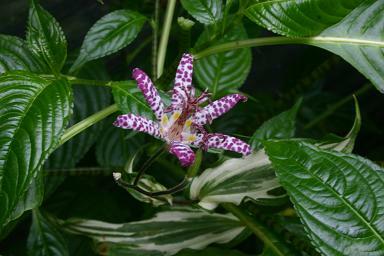 The leaves get brighter through the season, and support the usual toad lily flowers.